The Salvation Army is dedicated to serving the needs of the aging in ways that support their continued dignity and honor. 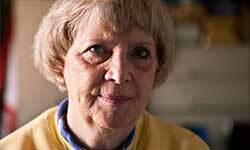 Ruth has been living in a nursing home for over five years. Her family and friends rarely visit anymore. Nurses and other residents make up most of her social circle. Ruth’s world has gotten very small. But Ruth still needs friendship, laughter, and love. She loves her monthly visits from people from The Salvation Army. They provide her with community and friendship and make her life a little brighter. Older adults gather to share interests, develop new skills and enjoy the company of their peers at The Salvation Army. The Salvation Army provides many opportunities for seniors to continue contributing to their communities long into their 70's, 80's and even 90's. In many locations, The Salvation Army links generations through intergenerational activities, allowing older adults opportunities to encourage, teach, nurture and mentor children in daycare, preschool or other children's programs. 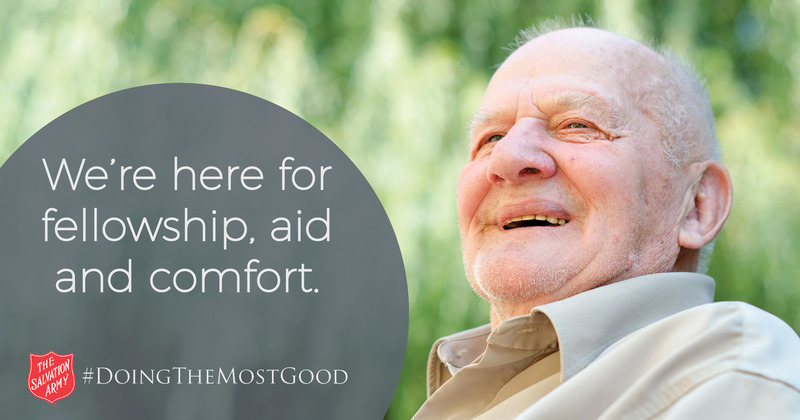 The Salvation Army provides services to help make senior living easier and more enjoyable. Across the country, The Salvation Army hosts weekly or monthly older adult clubs offering socialization, entertainment and spiritual encouragement. Educational classes, day care, hot-lunch programs and pre-retirement seminars are just a few of the programs the Army offers. Each center provides a variety of activities to meet diverse needs. Through partnerships with local hospitals and clinics, many Salvation Army centers offer health care services such as blood pressure monitoring, cholesterol and blood sugar testing, exercise and nutrition classes, and community health fairs. Some centers also collaborate with other agencies to help older adults prepare income tax returns and other government forms.